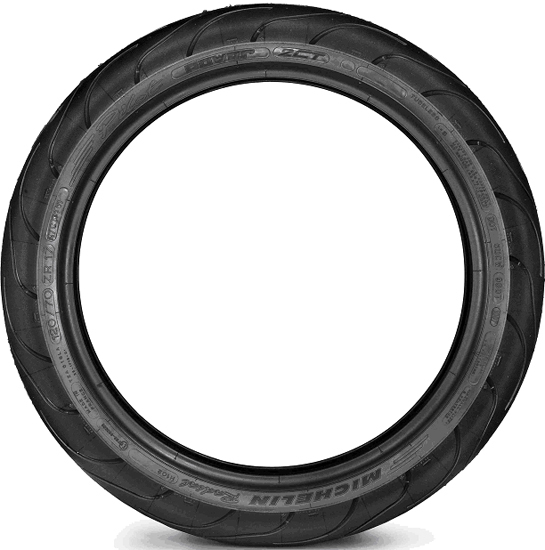 Type/number of model: Dimension 120/70 ZR 17 for models Michelin Pilot Power 2CT and Michelin Pilot Power. Description: Tyres for the front wheel of motorcycles, dimension 120/70 ZR 17 for models Michelin Pilot Power 2CT and Michelin Pilot Power, bearing the following indications on the side: a) MADE IN FRANCE" and b) "DOT 6UCW 980T" or "DOT 6UCW 979T". This product poses a serious risk of injuries because there is a possibility of a fault in the body of the tyre which causes deformation and material segregation in case of long usage under high-speed conditions. This could lead to reduction of the tyres pressure and to a possible loss of control of the vehicle. Five incidents have reported but none of them led to an accident. Voluntary withdrawal from the market and recall from consumers by the importer. Press release has been issued.